When people think of decor, they think of the way a home or any other area is organized in terms of furniture, decoration, accessories, and scenery. While this is true on a basic level, the decor of one’s home or general area goes deeper than that and portrays a lot more than just the visual aspect of it. Decor in my home personally matters to me because it says a lot about who I am as a person. It is important to present oneself in a high manner. I make sure to keep the elements of my home clean, organized, and overall pleasurable to look at. I am a person that finds value in the relationships I hold with people. I want people to think highly of me, and how people perceive goes deeper than what you just say to them. People also take into consideration one’s demeanor, the way one carries themselves, and their living arrangements. How one presents their home also signifies how one feels about the guest that is coming into their home. 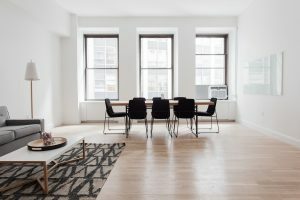 If you think highly of the person that is to be the guest in your home and you greatly value your relationship with them, you are more likely to want to present your home as nice as possible. Decorating is also a form of self-expression, people can incorporate elements of their character traits and personalities. My home contains artwork that I personally find interesting and that is an accurate representation of who I am and what I value. My household contains colors that I enjoy and certain colors can invoke certain moods in someone. I like my house to be neatly organized and have a comfortable feel to it. Being in an environment that is pleasurable to look at, as well as clean and relaxing is proven to automatically make one feel happier. The decorating process of someone’s house can also be a fun activity to take part in. Overall, decor and area rugs are important and should be greatly taken into consideration.